The Worcester & Birmingham Canal takes you from the vibrant centre of Birmingham, through the green hills of Worcestershire, to the cathedral city of Worcester. Walking is one of the nicest ways to explore the beautiful canals and rivers. 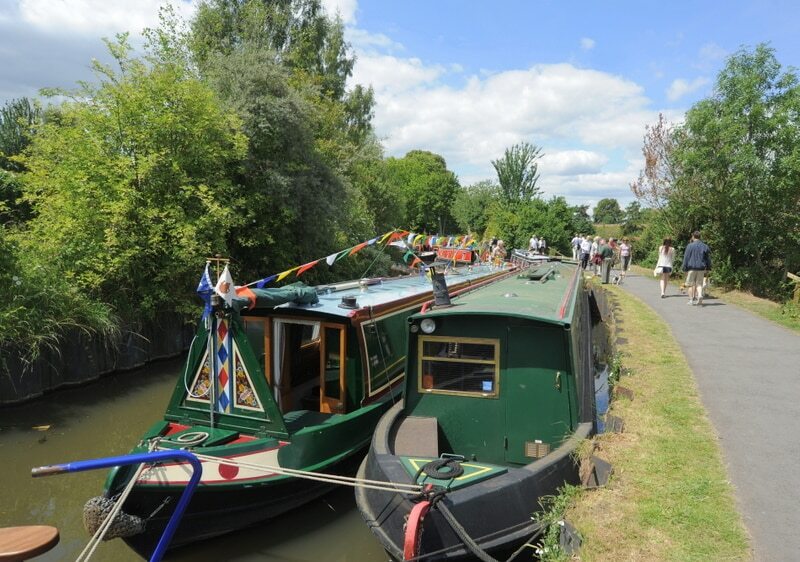 Whether you fancy a 10 minute stroll or a vigorous all-day hike, by walking along the towpaths you’re guaranteed relaxing views of the water. Canals and rivers offer accessible walking routes at all times of year. Aside from lock flights, your path is level and there’s little chance of getting lost! The unfolding scenery of a canal-side stroll also takes some beating. Where else could you find such a mix of wildlife, architecture, countryside and of course, the thing that brings it all to life, narrowboats. But, perhaps the best part of a walk by the canal is the near-obligatory rest at a waterside pub. Sit back with a refreshing drink and watch the world float by. It’s all part of the canal experience. Or why not pack a picnic and enjoy an al fresco lunch anywhere you like? Remember, any extra calories consumed can always be walked off on the return leg. 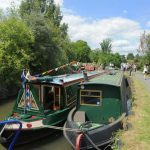 Joining one of the guided walks that regularly take place along the canals and rivers is a great way to explore new places and meet new friends. The Worcester & Birmingham Canal was once known colloquially as ‘the 58′, the number of locks on the canal – all of which are on the southern half of the canal. The canal links Birmingham with Worcester, but the route remains surprisingly rural and the occasional presence of the M42 and M5 motorways is never overly intrusive. The Worcester & Birmingham was opened throughout in 1815, when the Bar Lock at Gas Street Basin in Birmingham connected it with the Birmingham Canal Navigations. Prior to this, the latter company had insisted on a physical barrier to preserve water supply that meant lengthy delays for transhipment. It also meant the Worcester & Birmingham Canal Company had to make provision for their own water supplies – hence the reservoirs along the route, now popular with anglers and wildlife. At Kings Norton Junction, the Stratford-upon-Avon Canal joins under permanently open guillotine gates which once protected the Worcester & Birmingham’s water supplies. Heading out of Birmingham through Kings Norton Tunnel, also known as Wast Hill, the canal emerges into rolling Worcestershire countryside. The canal passes under the M42 – where it was realigned to allow for the building of the motorway – through cuttings and two further tunnels to the wharves of Tardebigge. The Old Wharf is now a hire base, but the New Wharf, at the top of the lock flight, remains the main base for maintenance on the canal. The dry dock, maintenance yard, workers’ cottages, and historic warehouse make it a unique location, steeped in history. With the tunnel on one side and locks on the other, it’s also a great place to start a walk. Tardebigge Top Lock is the start of a long haul into Worcester and the first of 30 locks in this flight alone – often considered the longest in Britain. The top lock is one of the deepest in the country and replaced an earlier vertical lift. Hanbury Junction marks the connection with the Droitwich Junction Canal, which once linked with the Droitwich Barge Canal and offered a route to the River Severn at Hawford. You might like to take a short walk down the Hanbury Flight, which was rebuilt by volunteers. Hanbury’s other claim to fame is that it is also the real-life counterpart of Radio 4’s Ambridge, home of The Archers. Around Bilford, the countryside is left behind as the canal begins to encroach on the city environs. The Commandery was the headquarters of Charles Stuart before the Battle of Worcester in 1651. The lock outside is the final narrow-gauge lock before reaching the River Severn. Ahead lies Diglis Basins and two wide locks accessing the Severn. Once very busy with commercial traffic, the working boats have long been replaced by pleasure craft. Worcester Cathedral stares down imposingly on travellers entering the river.